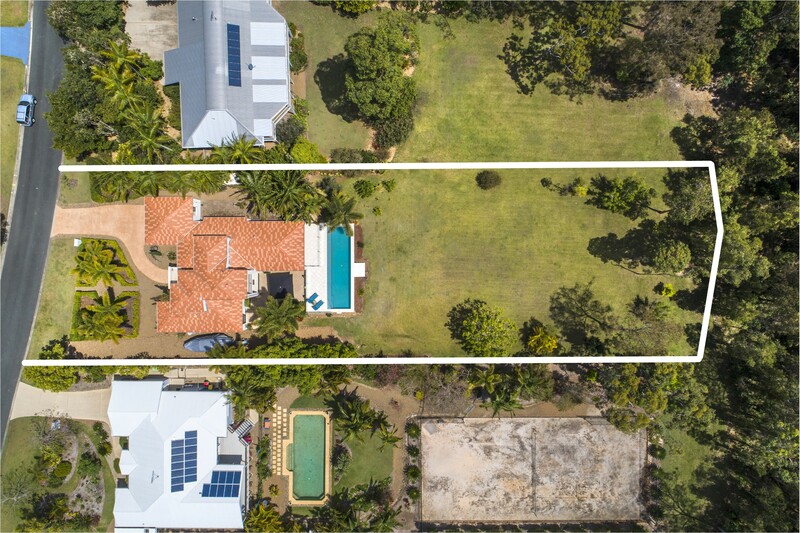 Perfectly positioned on an elevated north-facing 2398m2 block overlooking lush green lawns and the nature reserve in the backdrop, this immaculate residence enjoys sensational views of peaceful gum trees and native foliage beyond the block’s cleared grassy and usable land. 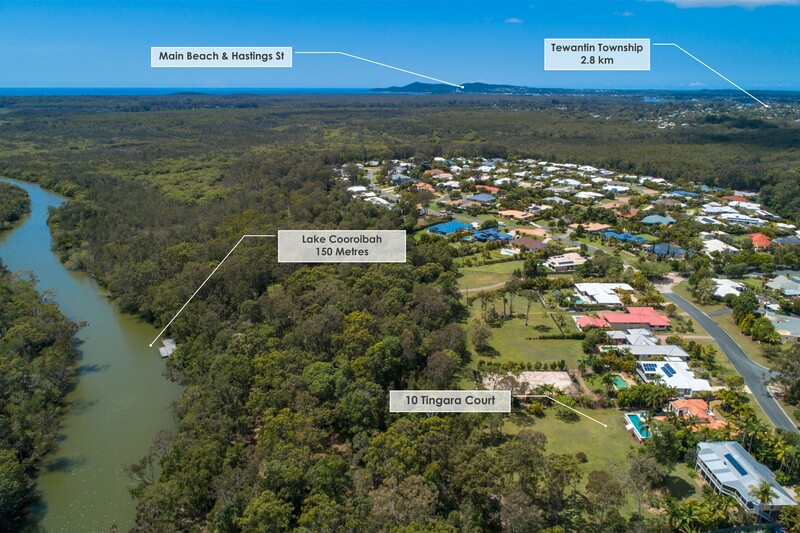 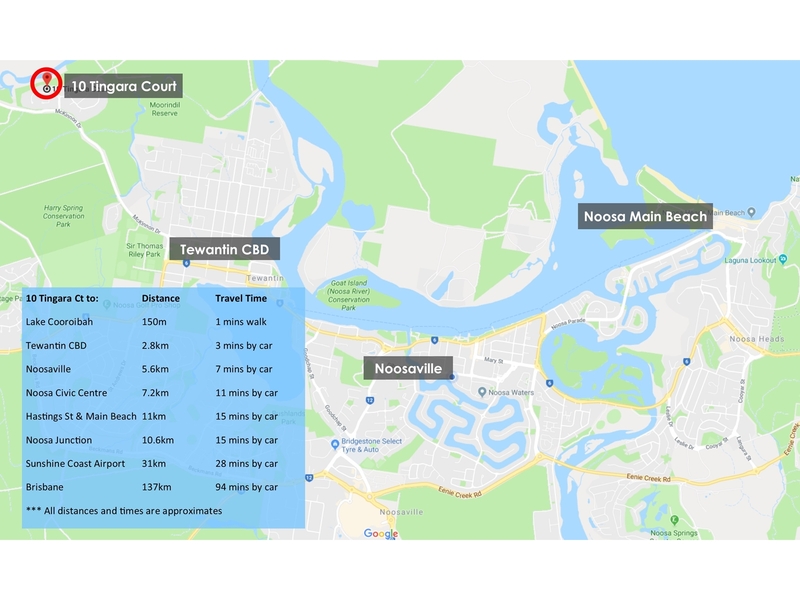 Within the exclusive Noosa Banks Estate, this semi-acreage home is less than 5 minutes to the Tewantin township and less then 10 minutes from Noosa’s beaches & restaurants, with schools, amenities and transport all within reach. 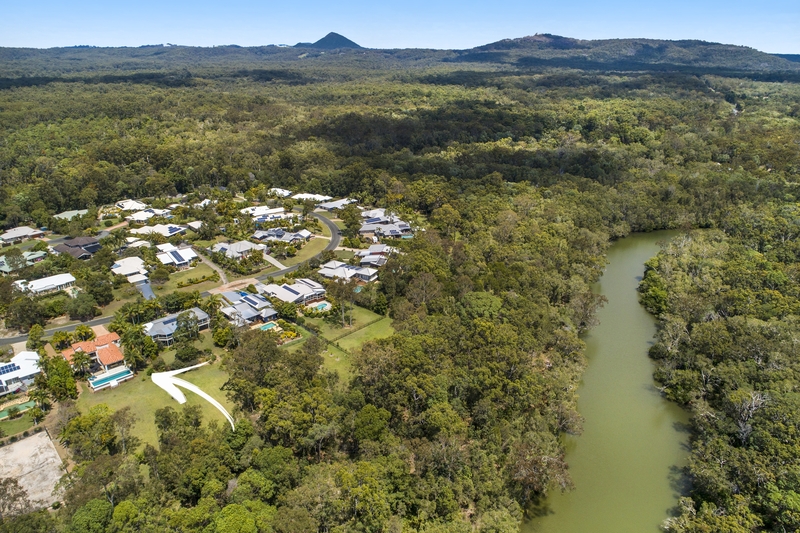 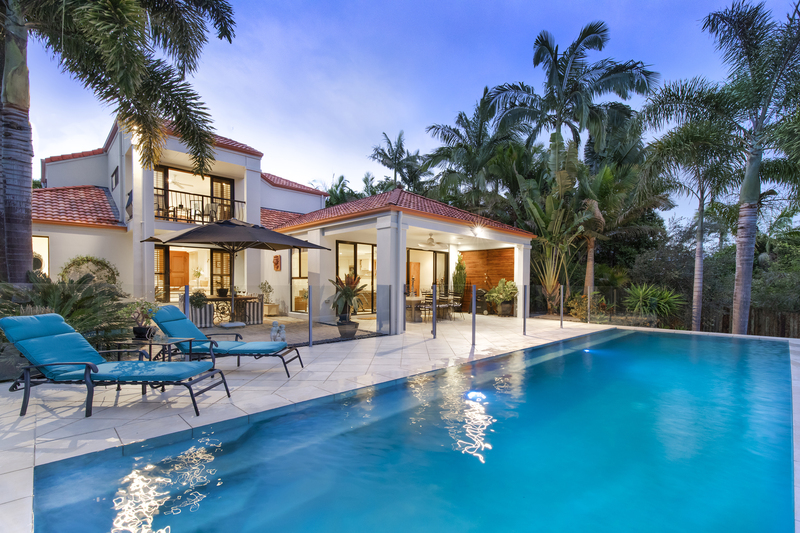 Noosa Banks is a peaceful family friendly estate that offers a rewarding lifestyle within close proximity to town. 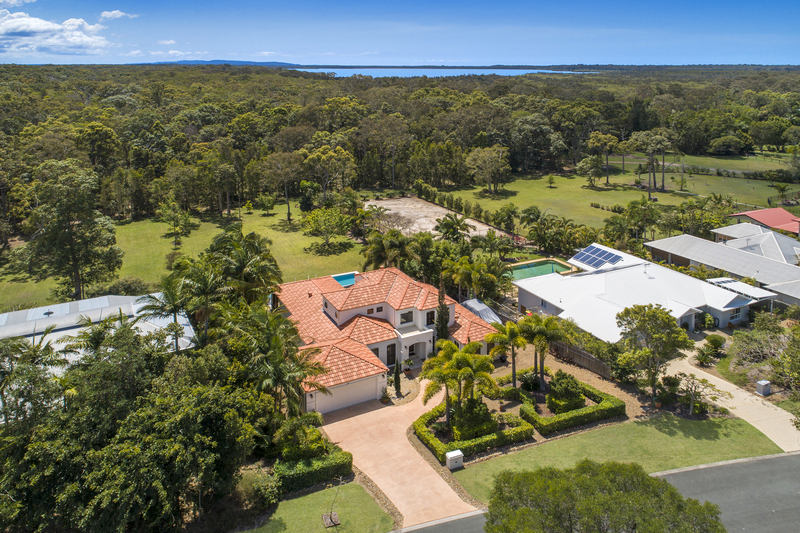 Drawing on its semi-acreage land size, this home beautifully conceptualises hinterland living, yet only moments from the heart of Tewantin, and only seconds on foot to Lake Cooroibah with boating, kayaking and fishing on your doorstep. 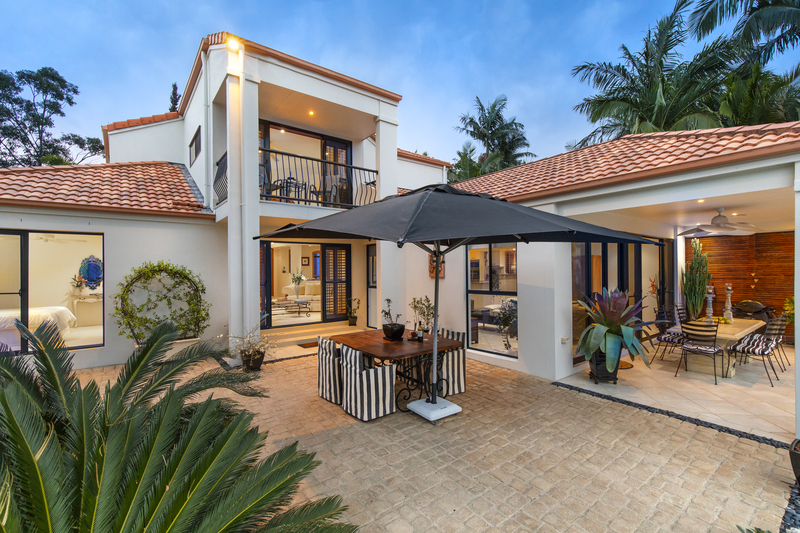 The block has been impeccably landscaped with established hedges and an impressive outdoor entertaining area that is flanked by lawn and scattered mature trees. 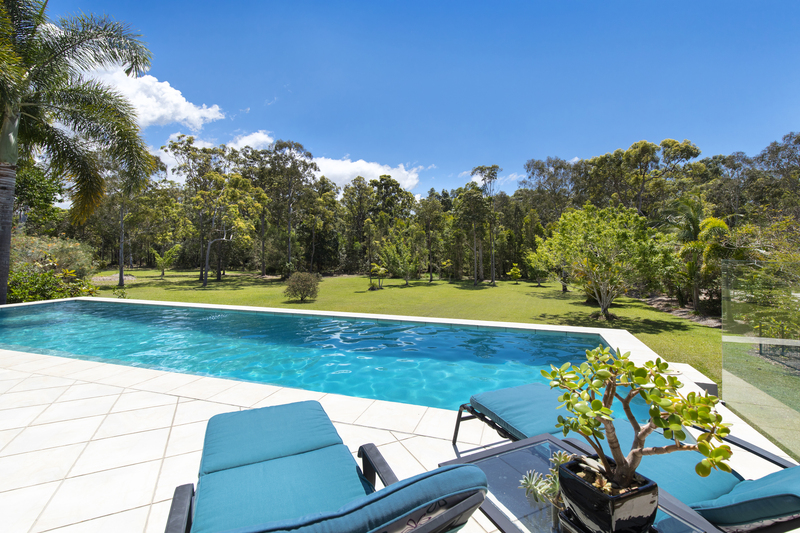 The focal point of the entertaining area is the sparkling sun drenched pool which faces north and captures views of the nature reserve. 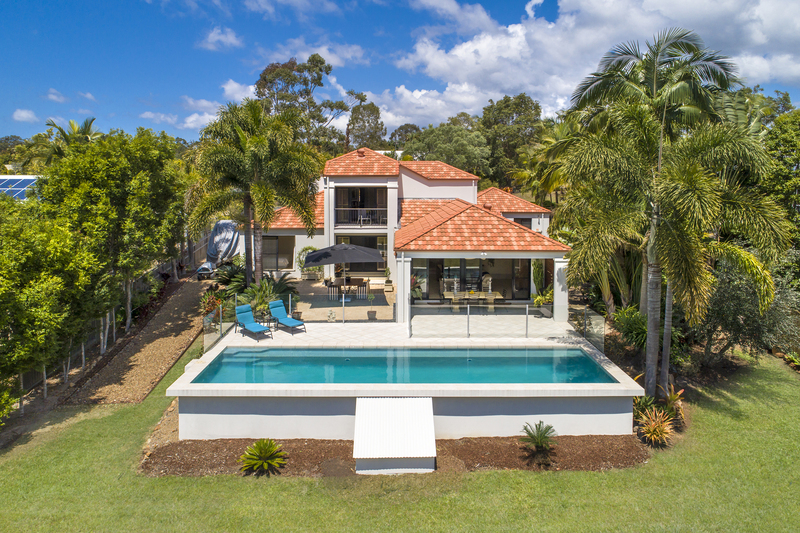 The sprawling outdoor space is comprised with an undercover tiled area, sunbathing areas for poolside serenity and an additional separate alfresco area for entertaining. 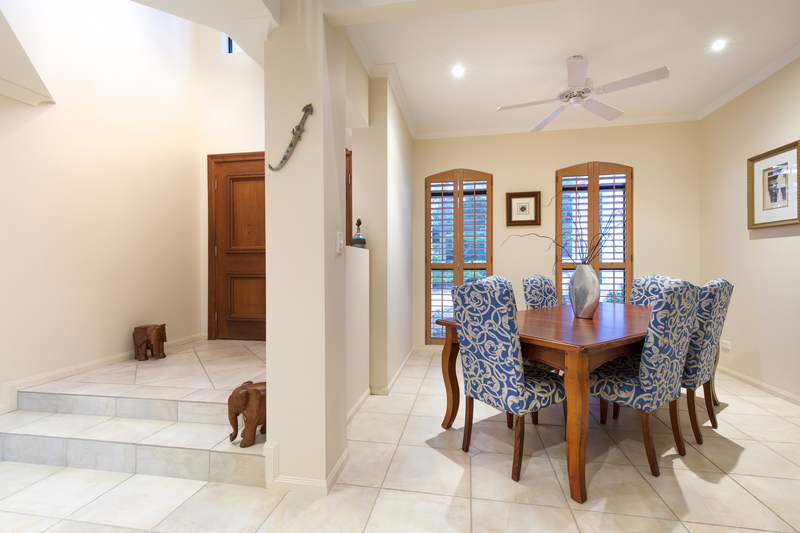 Creating an impression from the very first view, every aspect of this home demonstrates fastidious attention to detail from the high ceilings, quality tiled floors, timber arch-shaped louvres and a curved staircase. 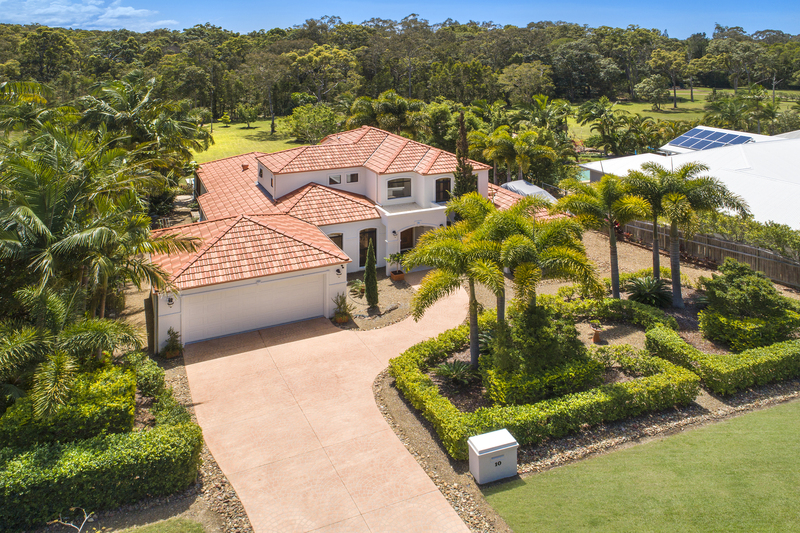 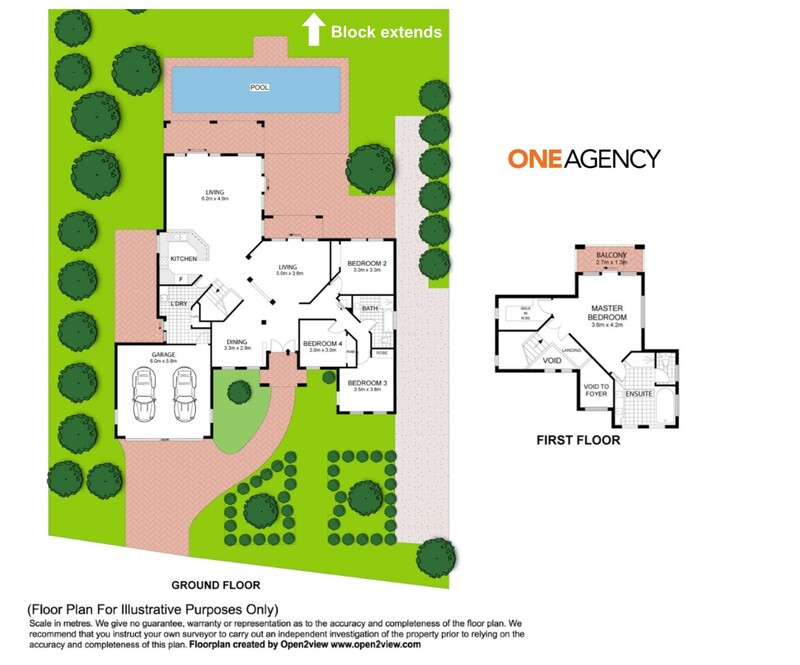 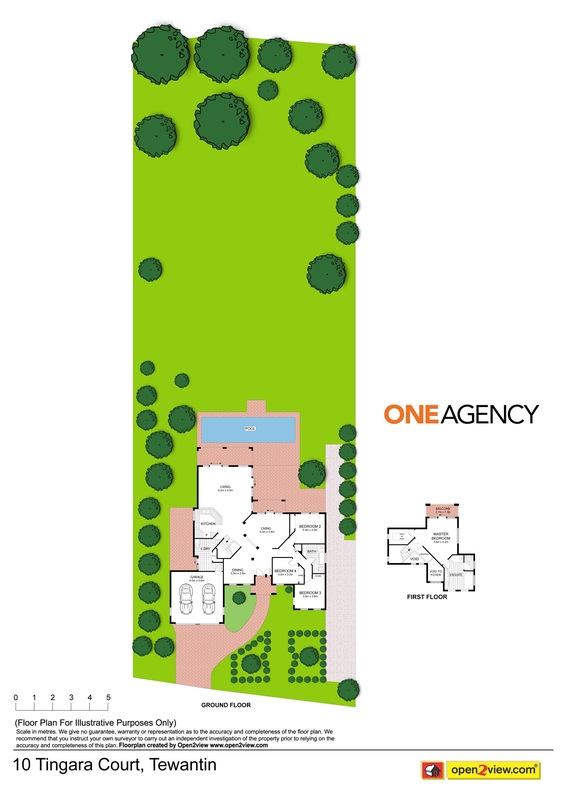 Meticulously planned by the owners, this home is tailored to all ages and life stages and has been carefully built with all the rooms in the home designed to maximise on privacy & connection to nature. 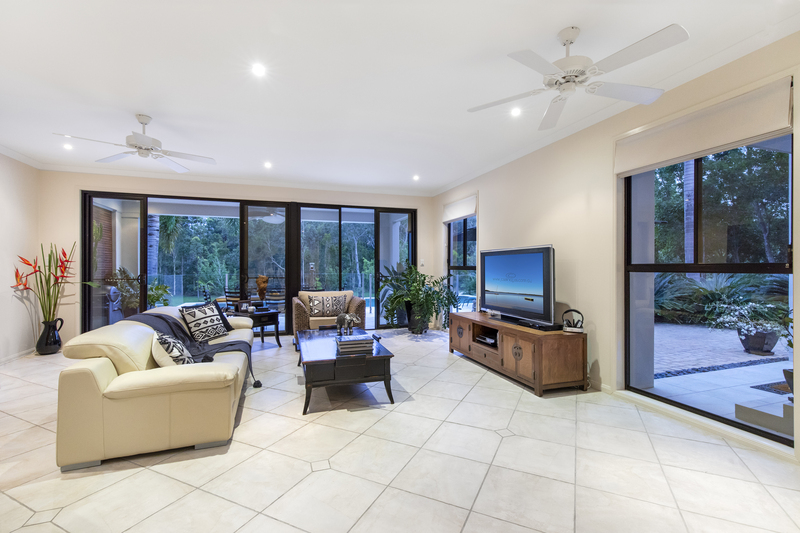 Formal and casual spaces effortlessly combine over a practical layout that accommodates both entertaining and relaxed everyday living. 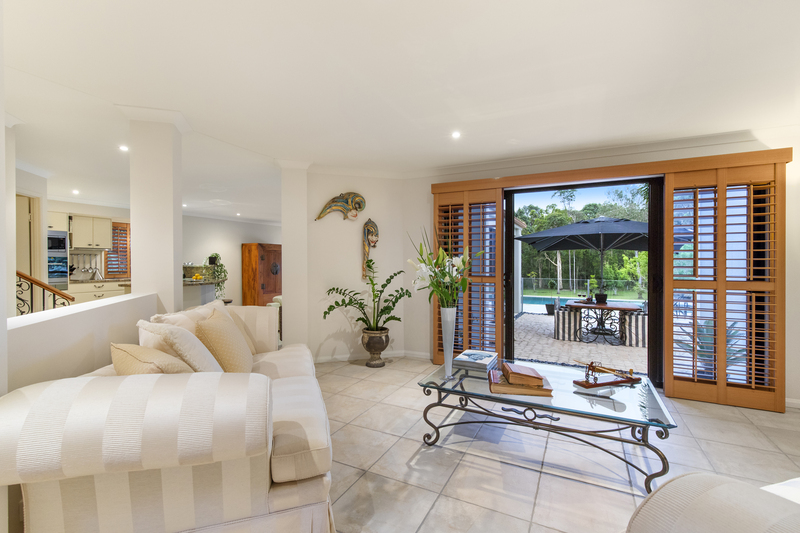 Positioned on the first floor is the main living space & kitchen, a separate dining enclave, and a second lounge room that looks over the pool and gum trees, providing multiple settings to host guests or to simply indulge with loved ones. 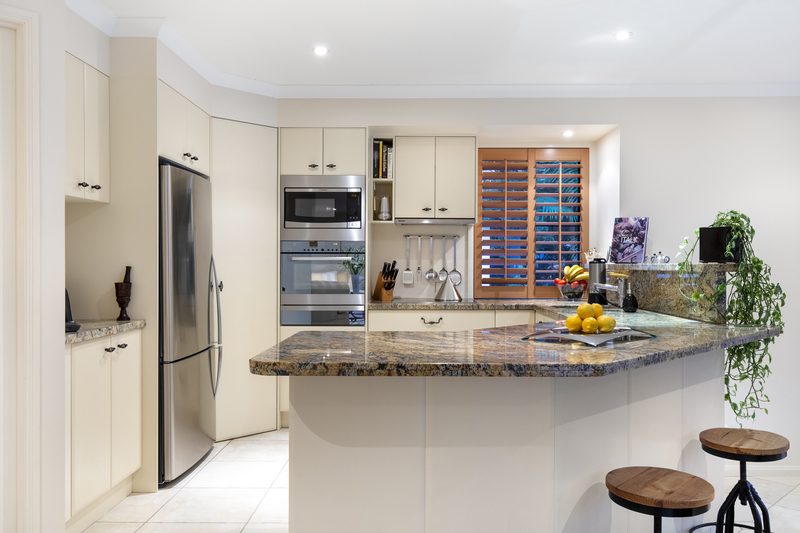 Superbly equipped, the classic kitchen includes ample storage, stone bench tops and a suite of quality appliances including Swiss V-Zug combi-steam oven and a Miele cooktop & range hood and dishwasher. 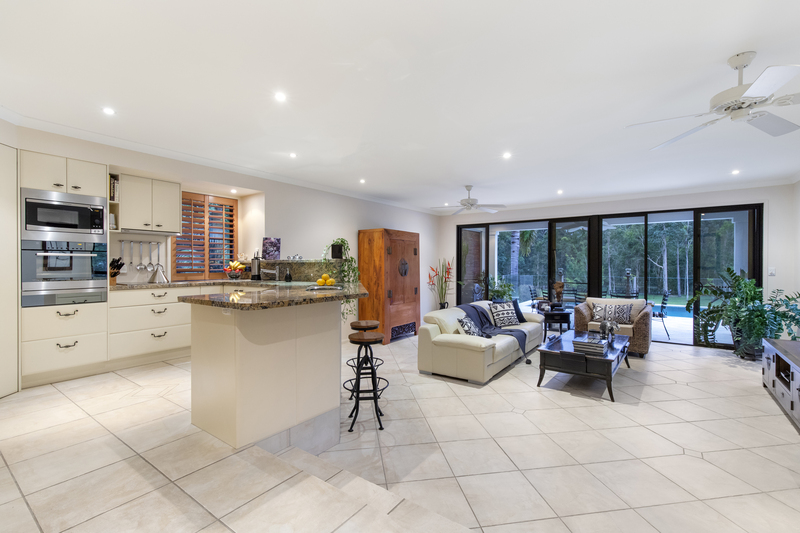 The kitchen occupies a convenient position close to the dining and entertaining areas, as well as facing north to the outside courtyard so you can enjoy your surroundings whilst you cook. 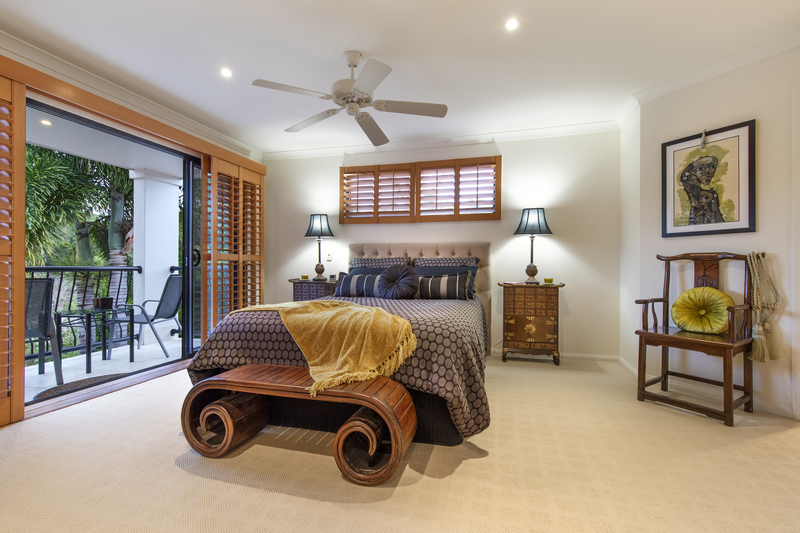 This residence encompasses a generous master suite on the upper level with a walk-in robe, ensuite with bathtub, and a private north facing balcony to enjoy the morning sun. 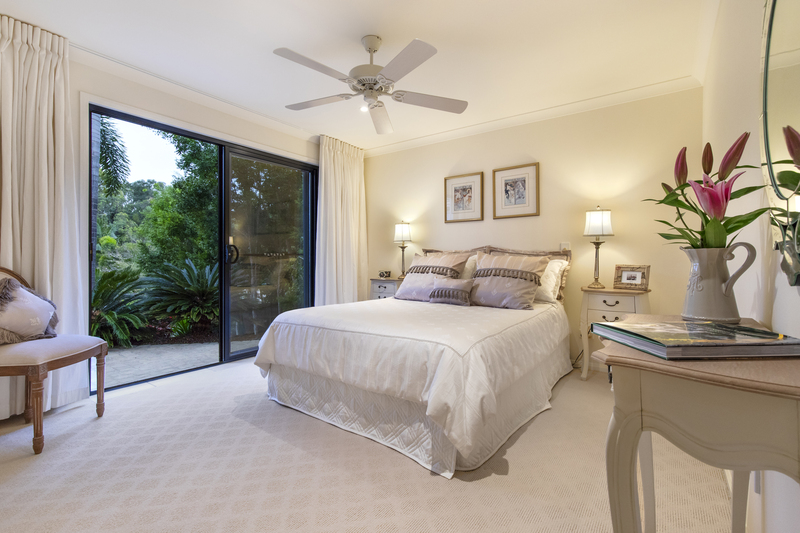 One of the large downstairs bedrooms can also serve as a secondary master bedroom for the option of single level living. 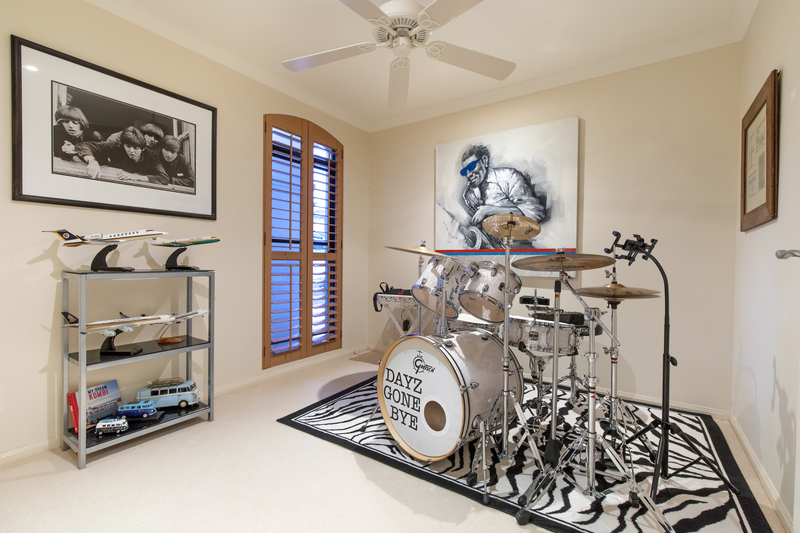 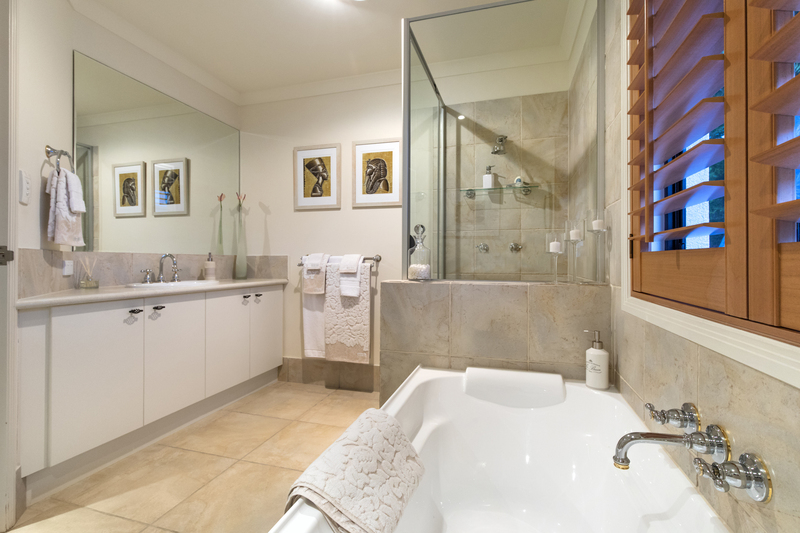 The further two bedrooms are also located downstairs and serviced by an additional bathroom. 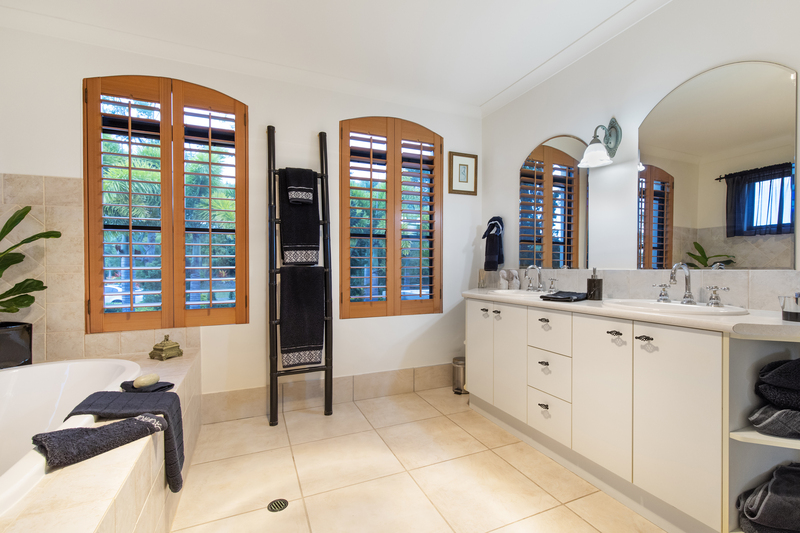 Both bathrooms are stylishly designed with understated European accents in a neutral colour scheme. 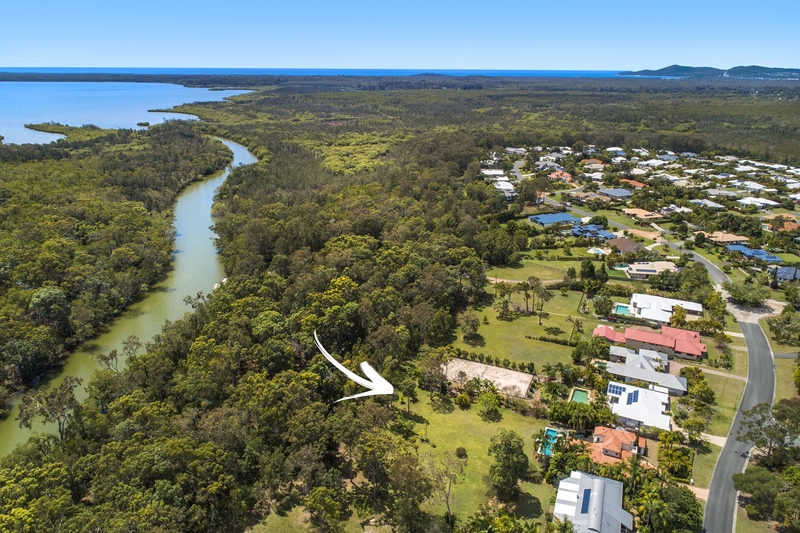 Easily one of Noosa Bank’s best positions, this four bedroom home will appeal to growing families or couples seeking space, privacy and a tangible connection with the great outdoors, an irresistible combination rarely available for purchase. 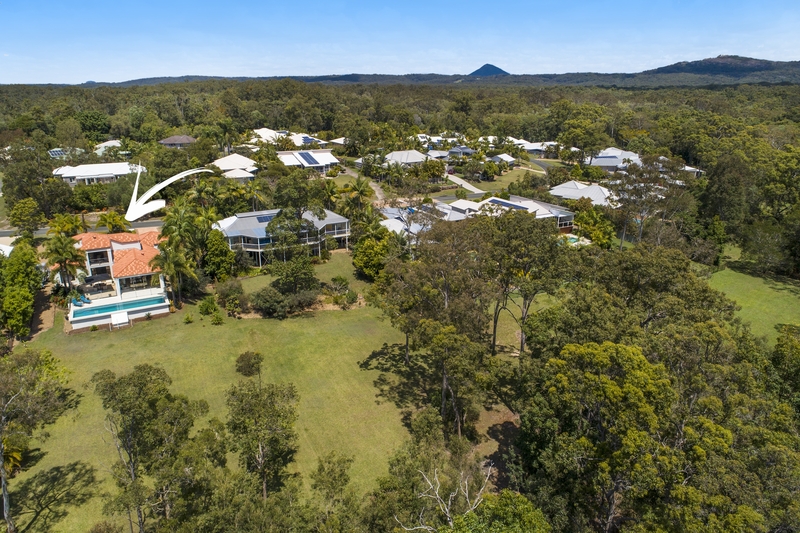 Contact Emily Korrum on 0401 700 250 for more information or a private viewing.